“Am I blue?” Billie Holiday sang, the pain evident in her voice. “Ain't these tears in these eyes telling you? How can you ask me ‘Am I blue?’"
There was only one Billie Holiday, but about 500 million people are active users of Instagram, the photo-sharing social platform. And many of them are blue. A new study suggests that the blue and gray tones of their Instagram photos can reveal whether the people who posted them are depressed. A pair of researchers from Harvard University and the University of Vermont analyzed almost 44,000 Instagram photos posted by 166 individuals, including about 70 who had been diagnosed with depression. “Photos posted by depressed individuals were more likely to be bluer, grayer, and darker,” the researchers wrote. Andrew Reece of Harvard and Chris Danforth of the University of Vermont recruited people with Instagram accounts who use Amazon’s Mechanical Turk service – a platform that connects digital works with projects. They settled on 166 individuals. They asked them to complete a set of questionnaires, including a clinical depression survey. They then asked others to rate 100 photos from each user according to how happy, sad or interesting the images were. The researchers counted Instagram “likes.” They also categorized the photos by hue, saturation and the number of faces in each. The researchers sorted the information with a machine-learning algorithm that correctly identified 70 percent of those who had been diagnosed with depression. Of course, the findings have implications beyond Instagram. “These findings demonstrate how visual social media may be harnessed to make accurate inferences about mental health,” the researchers wrote. Reece and Danforth’s work is described in an article titled “How an Algorithm Learned to Identify Depressed Individuals by Studying Their Instagram Photos,” and published in the MIT Technology Review. On a related note, Mental Health America has a page devoted to talking about mental illness, including depression, on a variety of social platforms, including Instagram. The page is a part of the organization’s “#Feelslike” campaign to raise awareness of mental health issues. 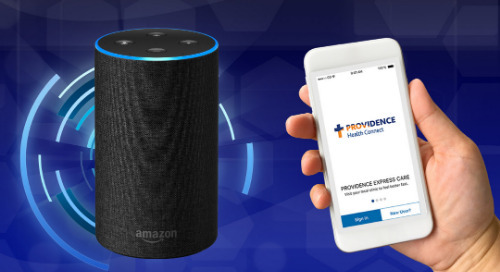 When Providence Health & Services completed its partnership with St. Joseph Health this summer, it launched an initiative to improve the delivery of mental health services. The combined health care system has created the Institute for Mental Health and Wellness. Talk to a trusted health care provider about depression, whether mild or severe. Providers have access to a vast toolkit of resources, from one-on-one counseling to medication. To find a Providence provider, consult our multi-state directory.